Welcome to NewsDirect411: Grace Mugabe's PhD: Zimbabwe Anti-Corruption Body To Investigates. In September, she told a governing party rally that she had earned her PhD despite her detractors' scepticism. "This was a shock to many members of the department as most members never [saw] or heard about the proposal, progress reports, thesis examiners and outcome of such a study by the candidate." 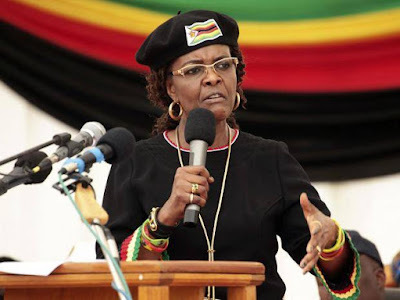 Local media report that Mrs Mugabe's doctoral thesis has not been made public, breaking with usual practice.